MEGA is the new AVATAR or it's old version "Megaupload" it was the most popular file sharing website which was shutdown by government in 2012. To know more about it checkout this wiki article. after Kim Dotcom's Struggle on Megaupload, he is finally back with it's rapidly growing Mega.nz cloud based file sharing website. new website is quite popular actually because it provides client to client encryption. if you register there you will get 50GB storage for free! You can also make secure video calls by using Mega on your browser. He will be launching the kind of internet soon called "Internet party" which promises TOR-like encryption system which is almost impossible to crack. 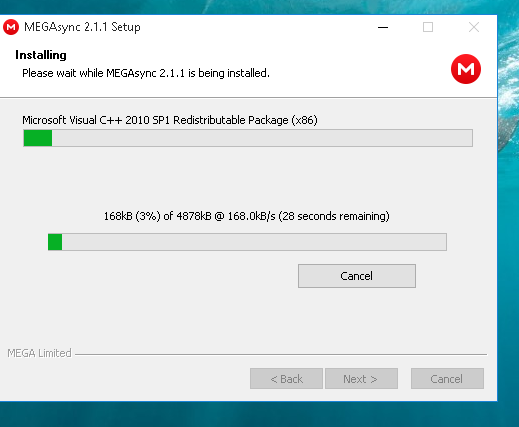 The main subject : Resolving download issue in mega. 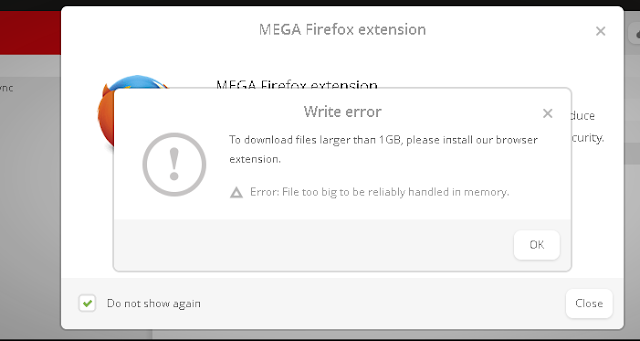 Downloading files larger than 1GB using mega add-on/extension on your browser may lead you into frustration because even if using extensions on your browser you wont be able to download the file because of some memory error. This error accrues specially while using old systems. but anyways i found the solution. To resolve this issue you just have to install Megasync client for your Widows,linux,mac Operating system. Just register on mega.nz and then download the lightweight client on your computer and simply download the larger files. trust me this is the best solution for mega files. This is how it looks like when you upload bob Marley songs on mega.